Digital Human League members have been working hard with the Digital Emily 2 data for the last several weeks. In doing so several adjustments were made based on our finding. We will be documenting those changes and posting and update to the data. Besides the updated data, we will also be posting more data based on requests such as OBJ formats, and lighting that matches the reference. The image below shows how the new 2.1 changes better match the reference. The match you’ve done with the photo above is astonishingly close! Best job matching a photo I’ve ever seen. 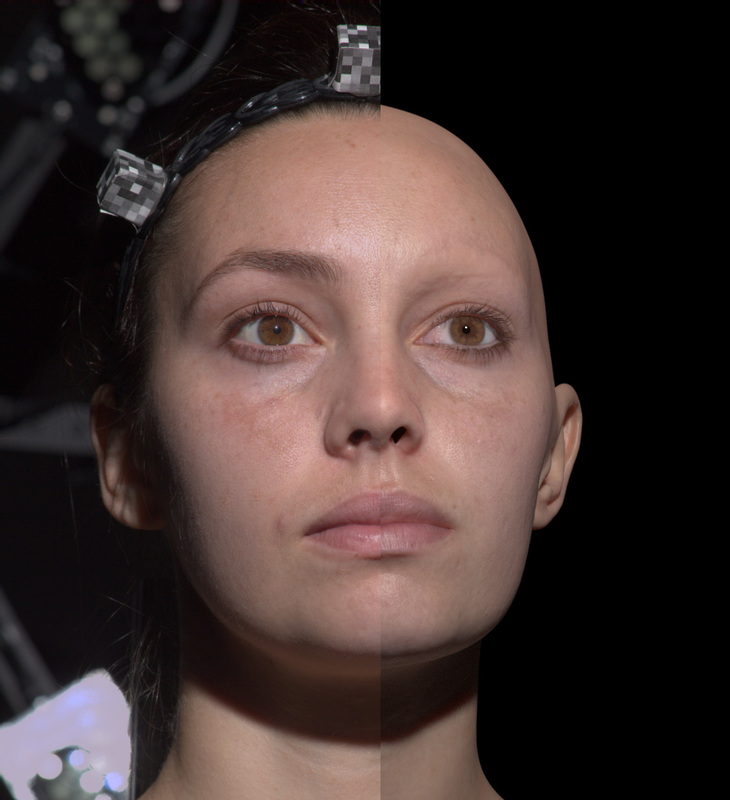 I’ve been following your work on digital Emily 2 in VRay and Renderman, and am looking forward to playing with 2.1. I’m curious if this render is strait from the frame buffer, or did you do any color corrections to get this to match? Hey guy, thank you for providing such an awesome data set. I am using C4D, and when I load in the .abc I enable UV stream, but the associated UV’s do not come into the application. Are they being exported correctly or do the reside in the MAYA file? Thanks for your input. We are in the process of compiling Digital Emily 2.1. Along with a new set of model data which should address your issues. Please be on the lookout for that as it will be out soon. Hi there, as an artist I am also on the mission to create the perfect digital human. And the material you have shared has enabled me to learn in a short span of time by example what takes CG artists years of production experience to achieve and still not necessarily master. Its projects like this that operate on an open platform that make a difference not only in the digital world of VFX but also as an icon that sets a standard of precision and quality that would cost a lot of money to recreate and is simply available to the world for free. As far as I am concerned projects like this make the world a better place. PS. The link to the file of “DigitalEmily2_SpecularOnly.rar” on the ICT page of Digital Emily 2 is dead. Thank you for your kind words. We are in the middle of updating things so please stand by.